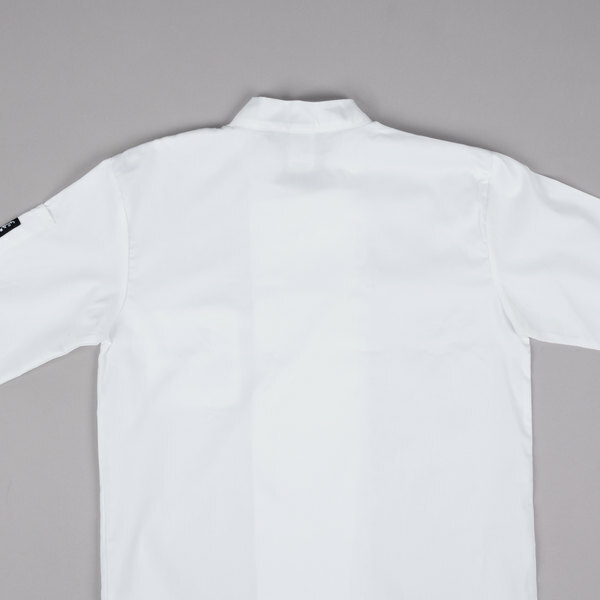 Maintain a uniform look for your male restaurant cooks with our chef coats for men. We offer the best selection of colors, styles, materials, and sizes to keep your staff protected from the heat of the kitchen while also maintaining a professional appearance. Choose from different colors to create a unique style for your team, and coordinate employees based on rank and position with black, white, green, red, purple, orange, and brown chef jackets. We also offer long sleeve, short sleeve, and 3/4 sleeve styles to match the unique conditions of your kitchen. 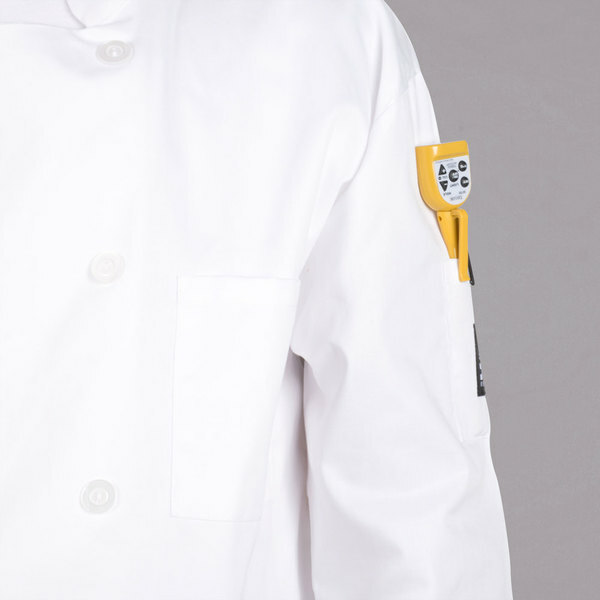 Our long sleeve men's chef coats provide maximum protection against hot liquids and steam, while our short sleeve jackets are great for keeping your cooks cool in more casual applications. 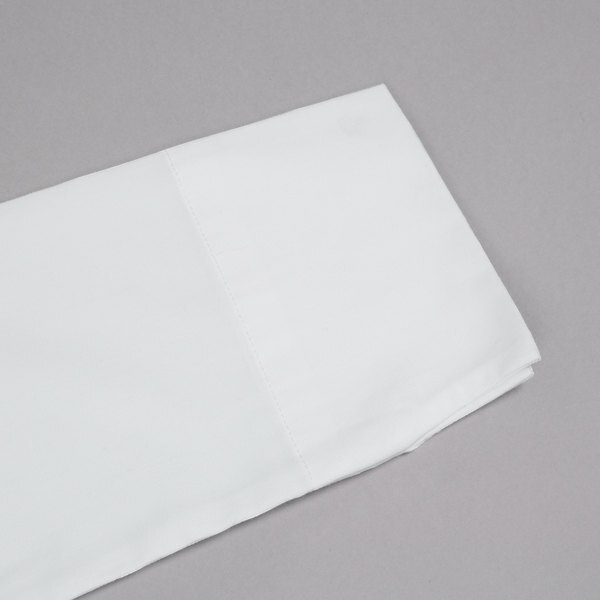 Finally, the 3/4 sleeve option provides good protection with the added benefit of keeping the wrists free, making it great for chefs that do a lot of cutting. 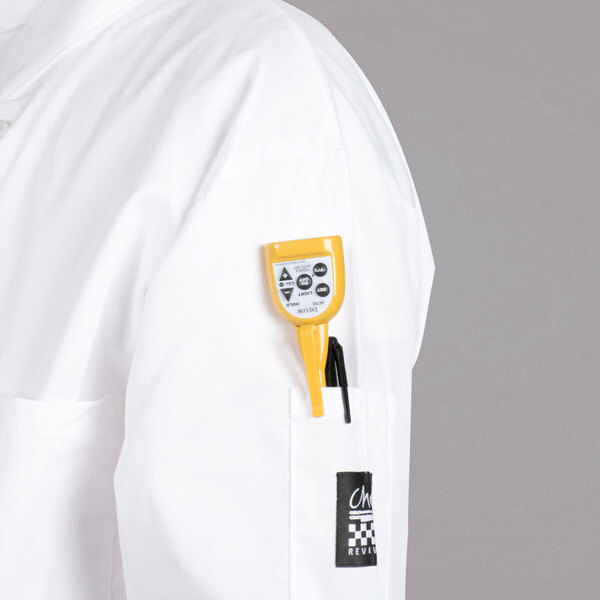 The material of a chef's coat also plays a big role when considering which one is right for your business. 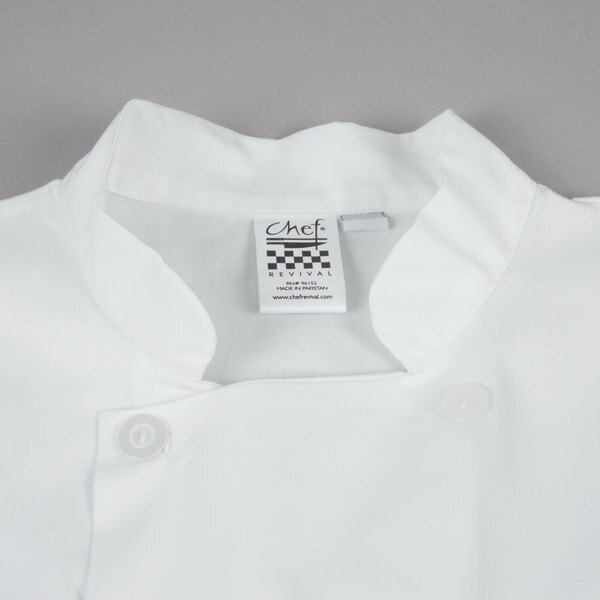 Cotton chef coats are lightweight, breathable, and easy to maintain for everyday use. 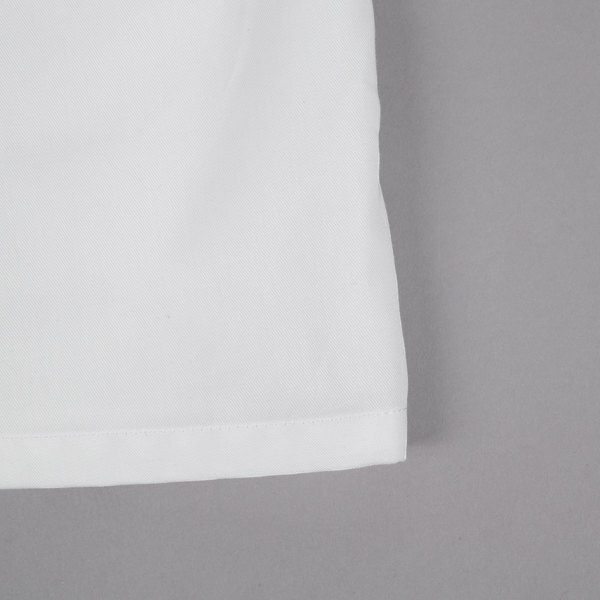 Our poly-cotton coats combine style, functionality, and comfort in a wrinkle-resistant blend that is perfect for both kitchen use and front-of-the-house service. 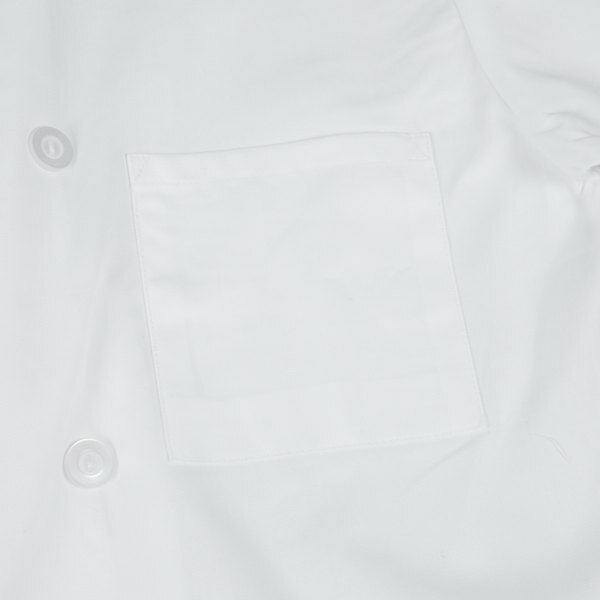 Lastly, our Chef-Tex poly-cotton jackets are great for absorbing spills, keeping your staff dry and cool, and protecting them in hot environments. 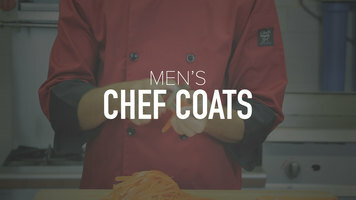 Ensure a clean, uniform look in your kitchen by providing your male cooks with these chef coats! Coming in a variety of styles and sizes, the coats will keep your kitchen staff cool, dry, and protected. 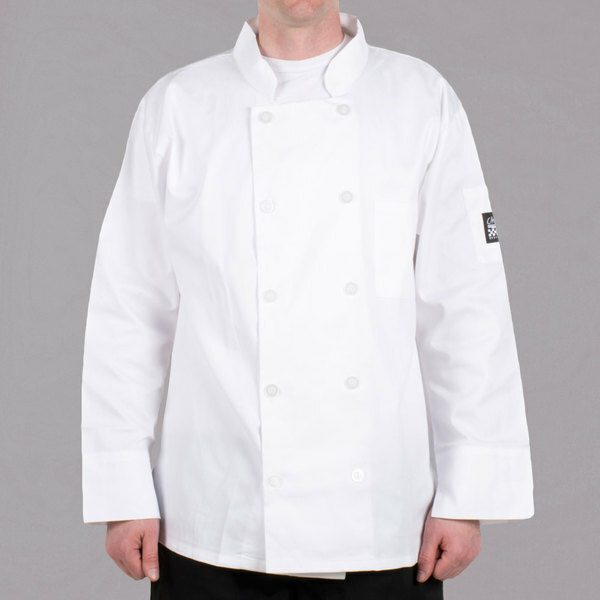 Dress your chefs in the best with this Chef Revival J100-L 46" customizable white double-breasted chef coat. Made from a poly-cotton blend, this coat is comfortable, looks professional, and is durable enough to stand up to any food service environment. Each coat has a traditional neck design which gives this jacket a professional and timeless look. Coming in size L, this jacket is designed to fit chest sizes between 44" and 46". To ensure an excellent fit, each jacket features a double-breasted design with drop shoulders. This means the jacket has wide, overlapping front flaps with 10 clear pearl buttons in two parallel columns. The drop shoulders extends the sleeve cap beyond the natural shoulder point and gives this jacket more of a relaxed, comfortable fit than a set-in sleeve design. A utility shoulder pocket is on the left sleeve of each jacket. It's the perfect spot to store thermometers, pens, or a cell phone. Additionally, each jacket has a front chest pocket to keep even more essential kitchen tools on hand so you can keep up with the pace of your busy commercial kitchen. Nice.heavy material, but doesn't feel too hot, breathes okay. Been through the wash countless times and seems hold up just fine. Being a size large, seems to fit just right. Highly recommended product. 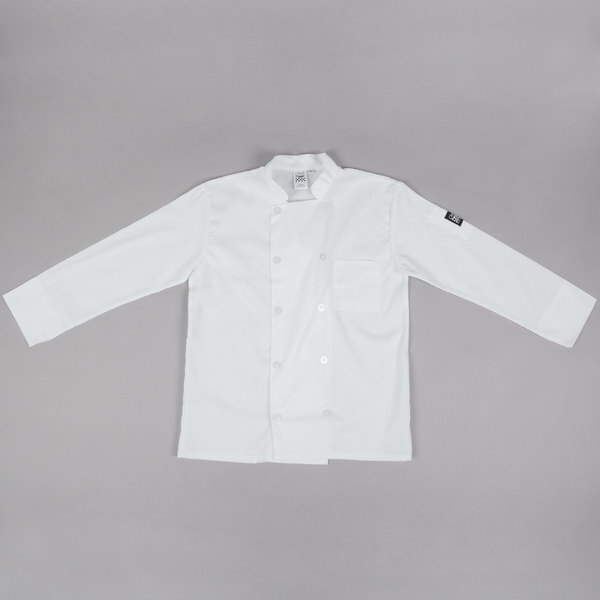 This Chef Revival jacket is cool and comfortable, and great quality too! 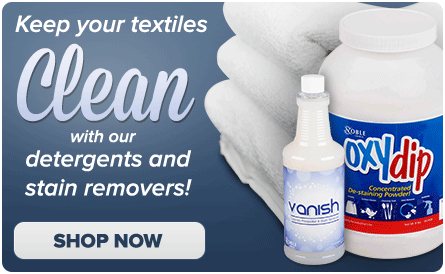 It's easy to clean with some pretreatment, and holds up well after months of use! My husband got this Chef Revival Chef Coat for a Halloween costume. So I can not speak for longevity but it is nice and well made. The Chef Revival double breasted chef coat is a very nice quality chef coat. 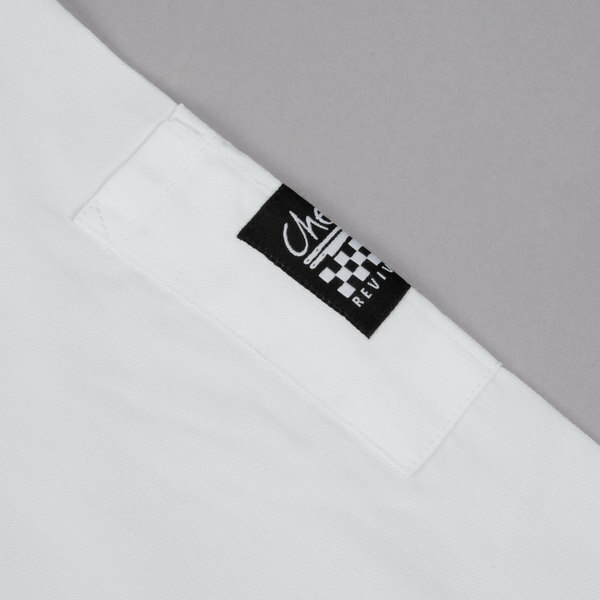 Nice weight and quality seams, just a very clean chef coat. A friend of mine's ordered me two of theses chef coats from you guys for a birthday present and I just love them, they are very light weight and cool and they are made of good material. Very nice coat, good stitching, just the right pockets, a bit large so it pulls over, the sleeves roll up nice ans stay up. Will buy more of these. I just ordered 4 of these jackets, since I bought one a few months ago from another vendor. these are half the price and are of high quality. You cant go wrong with these economical chef jackets! Very comfortable and durable. Have worn this for six monthes now and it still looks like new. Agin, this is half the price the local store wants. 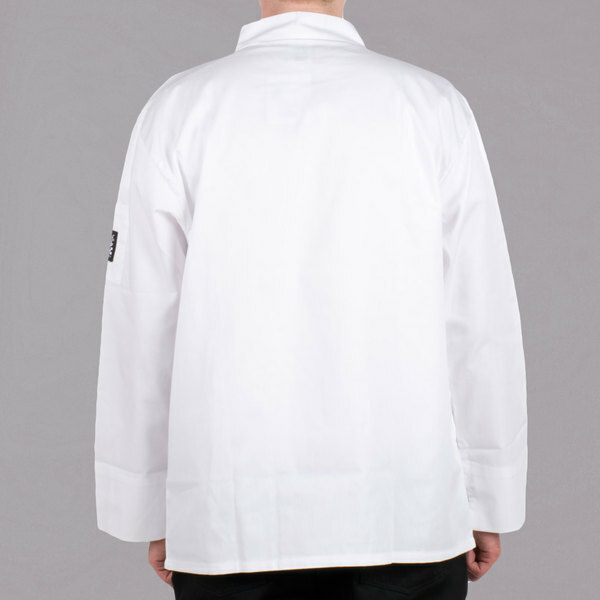 The Chef Revival J100-L Double Breasted Chef Coat is a very well made attactive Poly Cotton Blend, pleasure to wear coat. The only problem is, I don't want to get It dirty for fear it might not come as clean as it is now. Style, size and material are more than acceptable. My kitchen people love it.We save a lot of money to own it, not to rent it from the contractors.Pockets on the sleeves are so handy. A great coat for its value, nice and soft after a run through the wash. The fabric has a nice weight to it, but dost get too hot wearing it.